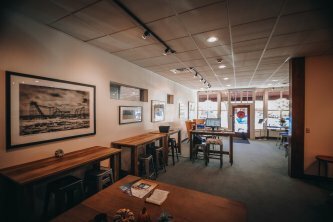 R Space at the Rochester is Durango’s modern coworking environment, designed to promote productivity, creativity, and community networking while accommodating flexibility. With a comprehensive list of amenities and facilities, R Space features movable workstations that encourage members to customize the space for their needs. 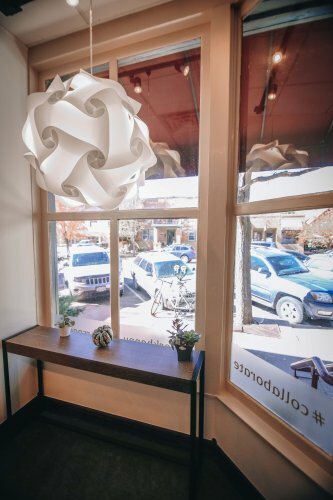 We’re conveniently located on 2nd Ave, adjacent to Durango’s vibrant downtown scene and the many restaurants, coffee shops, and stores it has to offer. 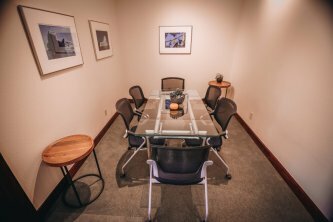 We’ve equipped R Space with a range of thoughtful amenities, giving our members the flexibility to work alone, collaborate with other members, host meetings, facilitate retreats, and even produce videos and podcasts. WiFi and ethernet are both available, depending on your needs, and facilities include flex desks, lounge space, a conference/training room, meeting rooms, podcast/video production rooms, options to use The Secret Garden and full bar at The Rochester, and access to fresh Desert Sun organic coffee, snacks, events, wellness programs, and cruiser bikes to get around town. R Space is a membership-driven coworking space, offering a wide variety of choices based on your individual needs starting as low as $99 per month. Some spaces can be rented at hourly rates as well for community members. Visit our website to view membership options and join online today to get started!